So says Jeffrey Dean Morgan, who will return as arch villain Negan when the hit zombie show returns for its seventh season. 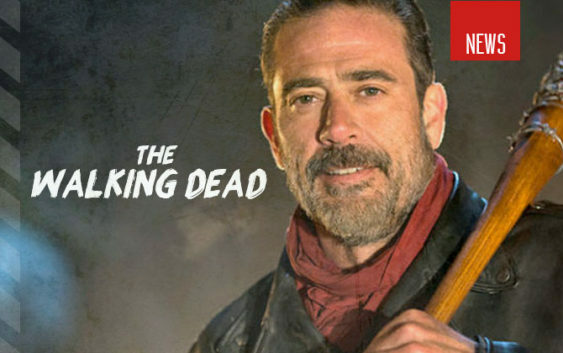 Many fans were left angered by season six’s cliffhanger ending, later launching an online petition asking TV network AMC to reveal which character was killed by Negan. Morgan, who will return as Negan for season seven and is now a regular cast member, has spoken about the consequences of his character’s introduction to the show. The actor went on to say the first half of this season is “Negan wreaking havoc. And some of your characters that you’ve grown to love are not going to be on the show anymore, and it’s going to end badly for them. “It’s going to be a whole new beginning for The Walking Dead. Really, we’ve taken the show and just flipped it upside down. It’s a different show now. It’s going to have a different feeling. The Walking Dead is due to return on October 23. You can watch a trailer for the new season below. It was also revealed recently that whichever key character is killed by Negan will have two new characters to take his/her place. According to TV Line, Rick Grimes (Andrew Lincoln) and his not-so-merry band of zombie-slayers will cross paths with Naomi and Jennie, neither of whom are based on characters from the comics or any of the other Walking Dead franchises. The report describes Naomi as a “grandmotherly type who, having lost so many loved ones, is now willing to do whatever it takes not to have to bury any more”, adding: “Maybe she’s being introduced to counsel Carol about the awful necessities of the post-apocalyptic world”.